This contradicts popular models saying diversification is slowing down. Scientists have been undertaking the complex task of mapping the timetree of life, which is an arduous mission because bacteria started existing around three billion years ago. A team of researchers from Oakland University and Temple University have succeeded in constructing a time-calibrated tree of prokaryotic life, covering 11,784 species of bacteria. Prokaryotes are small, simple, single-celled organisms with no nucleus and membrane-bound organelles. Examples include E. coli and streptococci bacteria. Eukaryotes, on the other hand, are basically any organism that can be seen by the naked eye. In 2015, Temple University’s Center for Biodiversity director Stephen Blair Hedges published a study contradicting the prevailing model that evolutionary diversification in eukaryotes has been slowing down. And now, by taking advantage of rapid, low-cost sequencing methods afforded by science, they found that prokaryotes share remarkable similarities with the evolutionary patterns of eukaryotes—they’re also expanding at a constant rate. 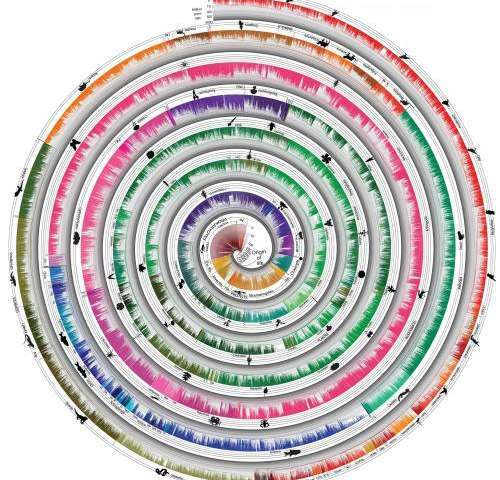 “We have produced a timetree of most described prokaryote species that has revealed a constant diversification rate, remarkably similar in that respect to eukaryotes and probably resulting from the same mechanism, the random nature of lineage survival over millions of years,” said Hedges.